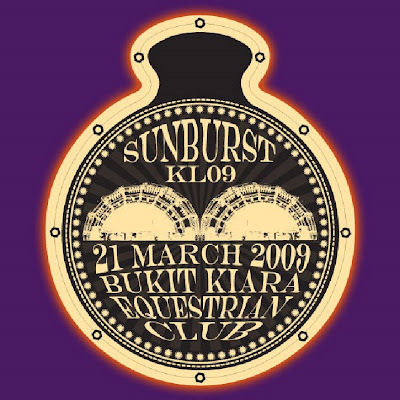 Reading through forums, and I saw Sunburst Music Festival 2009, 21st March at Bukit Kiara Equestrian Club. I was wondering why people are so crazy over it. Like this? It’s Sunburst Music Festival 2008. I went to ask Timothy-the music freak, what is Sunburst. & He starts calling me a bimbo that knows nothing about music. He then explained to me excitedly that Sunburst is basically a music concert that showcases local bands from around Asia and also mainstream bands from all around the world. He said last year concert was really a blast. Tim was so excited when he talked about Sunburst. And, the phrase, mainstream bands from all around the world, really drew my attention, and I start searching on the web looking for more info about this music concert. 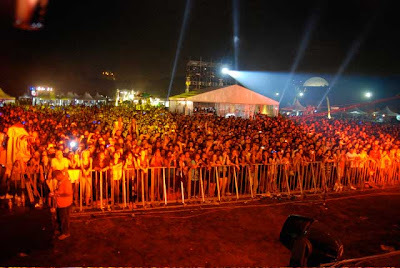 I got really devoted when I read that, the grounds of Bukit Kiara Equestrian Club is about to pulsate with the beat of some international mainstream bands, playing side by side with regional superstars from Indonesia and home grown talent from Malaysia. This mishmash of Hip-Hop, Rock, Pop, Soul, Dance and Jazz’s finest stars is about to entertain Malaysian and international music fans alike, spread out over 6 different stages. I straight go W-O-W!! I am really ignorant that I didn’t know about it before this, no wonder Tim called me a bimbo. Lol. 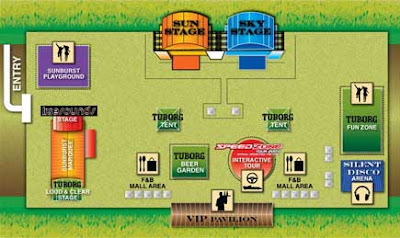 Sunburst KL International Music Festival 2009, will be held on 21st March 2009, Saturday at the Polo Pavillion, Bukit Kiara Equestrian & Country Resort, Kuala Lumpur. 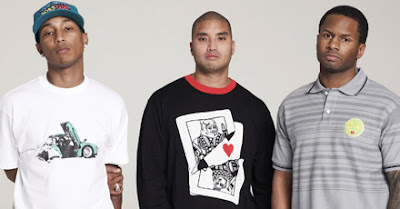 Good news for the R&B loving fans, Erykah Badu, and funk rock/hip hop outfit N.E.R.D. are set to headline the concert. However, KORN, Naturally 7, the Roots, Skye, and many more awesome artists are in the artist line up. Awesome, yes? N.E.R.D. stands for no one really dies. The Early Bird Promotion offers 30% discounts off the pre-sale ticket price (i.e RM143 only) for those who purchase tickets from 20th January 2009 until 8th February 2009. Pre-Sale tickets are priced at RM 203, while tickets sold at the door on show-day will cost RM 253. Get your tickets, quick, in order to save your money. Hello, rm110 is a lot ok? Bring along your original I/C or Passport to any Celcom branch or Blue Cube outlet for registration. The starter packs are available for free but customers are required to purchase a RM10 prepaid reload card. p.s. – Only one customer is entitled to register for one S.O.X. starter pack. p.s. – Upon receiving confirmation via SMS, reload RM30 before 17 march 2009 for a chance to win. Lol, the Early Bird promotion is over and i can’t even get a chance to win free tickets. I guess i just don’t(won’t) get it. well,full of local playa..what a junk concert..
Should it be XOX or SOX? just curious, how much money do u make from ur blog a month? rith – wht not give it a try? destiny – haha. ern. u.o.x. then. check our cheesie’s blog. JayCooL ~Diamond 5th~ – well.diff ppl diff opinion lo. vvnes – another jay chou’s fans eh? huaibin – u going? hee. anon – well. enough for me to have starbucks everyday? ptsk – ern. a lot of court in subang area though.